In a celebrity-obsessed culture, us regular people love to know everything there is to know about our favorite Hollywood stars, from their daily diets and beauty rituals, to their current dating life and even spiritual affiliations. If you ever wondered whether your dearest celebs were Muslim, we’ve got the topic covered – check out our list of 15 celebrities you didn’t know were Muslim! 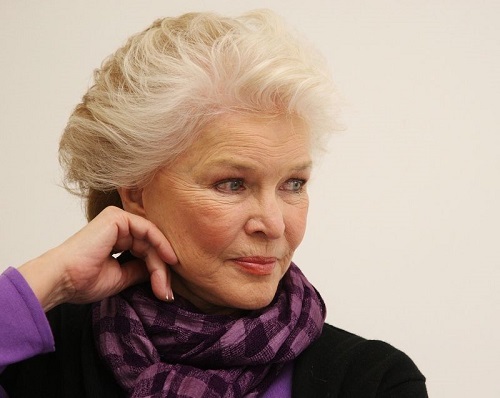 This highly talented actress is a veteran in Hollywood land: 84 year-old Ellen Burstyn, who makes a surprising appearance on our Muslim Celebs list. The “Requiem for a Dream” star was actually raised a Catholic, but decided to switch faiths and converted to Islam later in life, after years of studying the holy books. The sophisticated actress, who converted to Islam in her thirties, was inspired by her Sufi Muslim teacher Pir Vilayat Inayat Khan, who taught her everything about the Muslim faith and later even gave the actress an Arabic name: Hadiya, which means ‘the one who guides’.